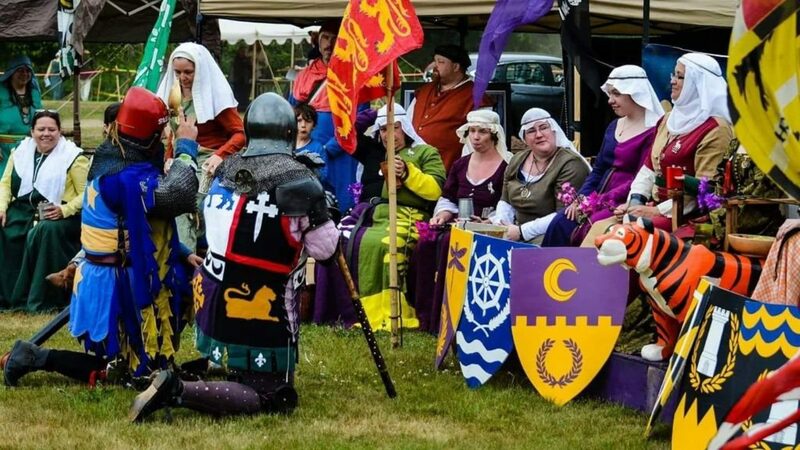 Put on your finest court garb and join us for a day of pomp and pageantry! The day will begin with the ‘Gallery of Inspiration’, where combatants will select their champion based on heraldic display. This will be followed by a formal tournament and deed of arms. All combatants will be required to meet armor standards. Your kit should also fully represent your persona and time period; no modern materials may be visible. There is a large parking lot to the side of the Mill. If necessary, drive into the small lot in front of the Mill to unload and then move your vehicle to the side lot. Pre-registration closes September 21, 2019. Feast fee is $5.00 and is limited to the first 30 reservations. This will be a high court feast. Wear your best Garb, bring your best table setting. Feast pre-registration closes September 14, 2019.